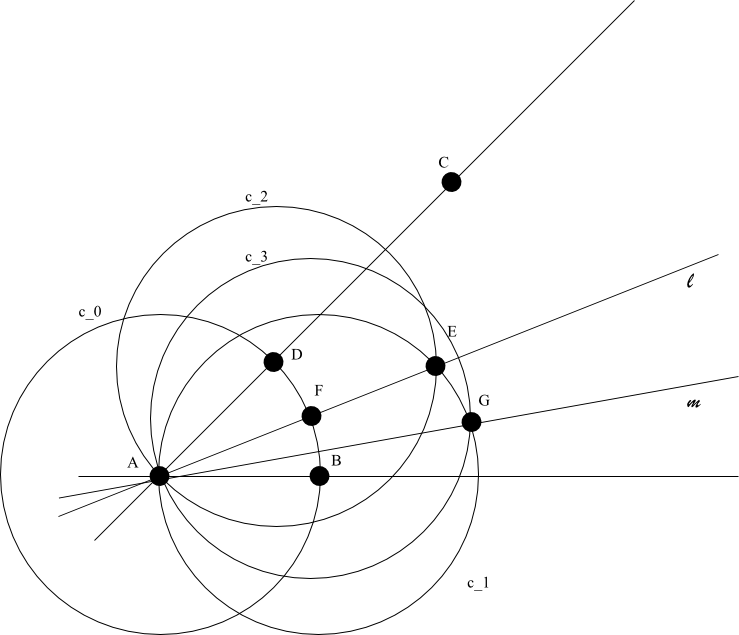 Conjecture 1 (Collatz conjecture) For any given natural number , the orbit passes through (i.e. for some ). Open questions with this level of notoriety can lead to what Richard Lipton calls “mathematical diseases” (and what I termed an unhealthy amount of obsession on a single famous problem). (See also this xkcd comic regarding the Collatz conjecture.) As such, most practicing mathematicians tend to spend the majority of their time on more productive research areas that are only just beyond the range of current techniques. Nevertheless, it can still be diverting to spend a day or two each year on these sorts of questions, before returning to other matters; so I recently had a go at the problem. Needless to say, I didn’t solve the problem, but I have a better appreciation of why the conjecture is (a) plausible, and (b) unlikely be proven by current technology, and I thought I would share what I had found out here on this blog. is negative, and so (by the classic gambler’s ruin) we expect the orbit to decrease over the long term. This can be viewed as heuristic justification of the Collatz conjecture, at least in the “average case” scenario in which is chosen uniform at random (e.g. in some large interval ). (It also suggests that if one modifies the problem, e.g. by replacing to , then one can obtain orbits that tend to increase over time, and indeed numerically for this variant one sees orbits that appear to escape to infinity.) Unfortunately, one can only rigorously keep the orbit uniformly distributed modulo for time about or so; after that, the system is too complicated for naive methods to control at anything other than a heuristic level. Remark 1 One can obtain a rigorous analogue of the above arguments by extending from the integers to the -adics . This compact abelian group comes with a Haar probability measure, and one can verify that this measure is invariant with respect to ; with a bit more effort one can verify that it is ergodic. This suggests the introduction of ergodic theory methods. For instance, using the pointwise ergodic theorem, we see that if is a random -adic integer, then almost surely the orbit will be even half the time and odd half the time asymptotically, thus supporting the above heuristics. Unfortunately, this does not directly tell us much about the dynamics on , as this is a measure zero subset of . More generally, unless a dynamical system is somehow “polynomial”, “nilpotent”, or “unipotent” in nature, the current state of ergodic theory is usually only able to say something meaningful about generic orbits, but not about all orbits. 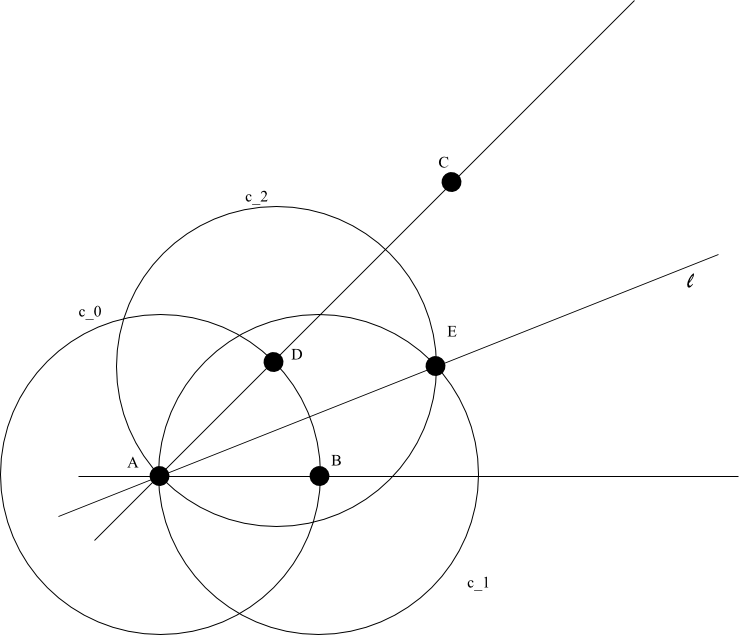 For instance, the very simple system on the unit circle is well understood from ergodic theory (in particular, almost all orbits will be uniformly distributed), but the orbit of a specific point, e.g. , is still nearly impossible to understand (this particular problem being equivalent to the notorious unsolved question of whether the digits of are uniformly distributed). Conjecture 2 (Weak Collatz conjecture) Suppose that is a natural number such that for some . Then is equal to , , or . Of course, we may replace with (and delete “ “) and obtain an equivalent conjecture. for some natural number . Proposition 4 Conjecture 2 and Conjecture 3 are equivalent. for any , where is the largest power of that divides . It is easy to see that is well-defined (it is essentially the Syracuse function, after identifying with the odd natural numbers), and that periodic orbits of correspond to periodic orbits of or . 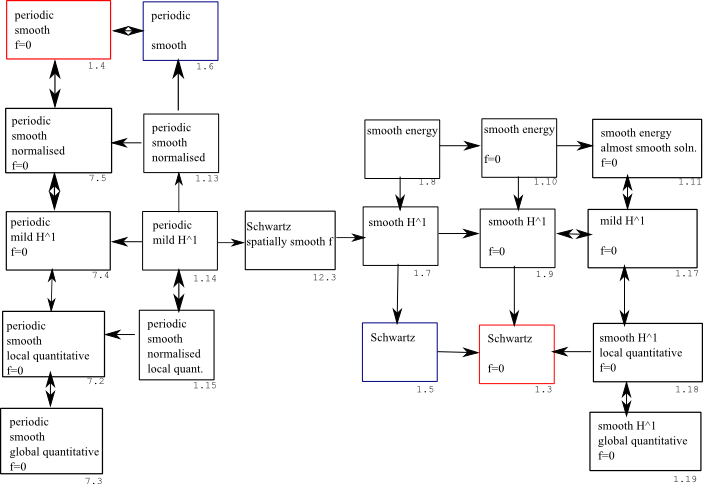 Thus, Conjecture 2 is equivalent to the conjecture that is the only periodic orbit of . for some integer . Since is divisible by , and is odd, we conclude ; if we rearrange the above equation as (1), then we obtain a counterexample to Conjecture 3.
and thus is a periodic orbit of . Since is an odd number larger than , this contradicts Conjecture 3. The Collatz conjecture has already been verified for many values of (up to at least , according to this web site). Inserting this into the above lemma, one can get lower bounds on . For instance, by methods such as this, it is known that any non-trivial periodic orbit has length at least , as shown in Garner’s paper (and this bound, which uses the much smaller value that was available in 1981, can surely be improved using the most recent computational bounds). where, in view of Lemma 5, one should restrict the double summation to the heuristic regime , with the approximation here accurate to many decimal places. which makes the series (6) convergent. (Actually, one does not need the full strength of Lemma 5 here; anything that kept well away from would suffice. In particular, one does not need an enormous value of ; even (say) would be more than sufficient to obtain the heuristic that there are finitely many counterexamples.) Heuristically applying the Borel-Cantelli lemma, we thus expect that there are only a finite number of counterexamples to the weak Collatz conjecture (and inserting a bound such as , one in fact expects it to be extremely likely that there are no counterexamples at all). In some very special cases, this can be done. For instance, suppose that one had with at most one exception (this is essentially what is called a -cycle by Steiner). Then (8) simplifies via the geometric series formula to a combination of just a bounded number of powers of and , rather than an unbounded number. In that case, one can start using tools from transcendence theory such as Baker’s theorem to obtain good results; for instance, in the above-referenced paper of Steiner, it was shown that -cycles cannot actually occur, and similar methods have been used to show that -cycles (in which there are at most exceptions to ) do not occur for any , as was shown by Simons and de Weger. However, for general increasing tuples of integers , there is no such representation by bounded numbers of powers, and it does not seem that methods from transcendence theory will be sufficient to control the expressions (8) to the extent that one can understand their divisibility properties by quantities such as . then the set of all sums of the form (8) (viewed as an element of ) contains many large parallelepipeds. (Note, incidentally, that once one fixes , all the sums of the form (8) are distinct; because given (8) and , one can read off as the largest power of that divides (8), and then subtracting off one can then read off , and so forth.) This is because the simplex contains many large cubes. Indeed, if one picks a typical element of , then one expects (thanks to Lemma 5) that there there will be indices such that for , which allows one to adjust each of the independently by if desired and still remain inside . This gives a cube in of dimension , which then induces a parallelepiped of the same dimension in . A short computation shows that the generators of this parallelepiped consist of products of a power of and a power of , and in particular will be coprime to . Proposition 6 Suppose the weak Collatz conjecture is true. Then for any natural numbers with , one has . Proposition 7 Suppose the weak Collatz conjecture is true. Then for any natural numbers with , one has for some absolute constant . Proof: (Informal sketch only) Suppose not, then we can find with of size . We form the set as before, which contains parallelepipeds in of large dimension that avoid . We can count the number of times occurs in one of these parallelepipeds by a standard Fourier-analytic computation involving Riesz products (see Chapter 7 of my book with Van Vu, or this recent preprint of Maples). Using this Fourier representation, the fact that this parallelepiped avoids (and the fact that ) forces the generators to be concentrated in a Bohr set, in that one can find a non-zero frequency such that of the generators lie in the set . However, one can choose the generators to essentially have the structure of a (generalised) geometric progression (up to scaling, it resembles something like for ranging over a generalised arithmetic progression, and a fixed irrational), and one can show that such progressions cannot be concentrated in Bohr sets (this is similar in spirit to the exponential sum estimates of Bourgain on approximate multiplicative subgroups of , though one can use more elementary methods here due to the very strong nature of the Bohr set concentration (being of the “ concentration” variety rather than the “ concentration”).). This furnishes the required contradiction. Thus we see that any proposed proof of the Collatz conjecture must either use transcendence theory, or introduce new techniques that are powerful enough to create exponential separation between powers of and powers of . Unfortunately, once one uses the transcendence theory bound (7), the size of the cyclic group becomes larger than the volume of any cube in , and Littlewood-Offord techniques are no longer of much use (they can be used to show that is highly equidistributed in , but this does not directly give any way to prevent from containing ). with and . (When , of course, one has .) In this form we see a resemblance to Conjecture 3, but it looks like a simpler problem to attack (though one which is still a fair distance beyond what one can do with current technology). Note that one has a similar heuristic support for this conjecture as one does for Proposition 3; a number of magnitude has about base digits, so the heuristic probability that none of these digits are equal to is , which is absolutely summable. Theorem 1 (Gelfond-Schneider theorem) Let be algebraic numbers, with and irrational. Then (any of the values of the possibly multi-valued expression) is transcendental. for some absolute (and effectively computable) constants . for some effectively computable constants (which may be slightly different from those in Proposition 3). In particular, the gap between powers of three and powers of two grows exponentially in the exponents . I do not know of any other way to establish this fact other than essentially going through some version of Baker’s argument (which will be given below). for some absolute (and effectively computable) constant . Note that Proposition 3 is equivalent to the assertion that one can take (and effective) in the above proposition. The proof of Proposition 6 can be made effective (for instance, it is not too difficult to make the close to ); however, in order to simplify the exposition (and in particular, to use some nonstandard analysis terminology to reduce the epsilon management), I will establish Proposition 6 with ineffective constants . is not algebraic, and so it is difficult for a polynomial of controlled complexity to vanish (or nearly vanish) to high order at all the points of ; the trivial bound in Proposition 5 allows one to make this statement more precise. 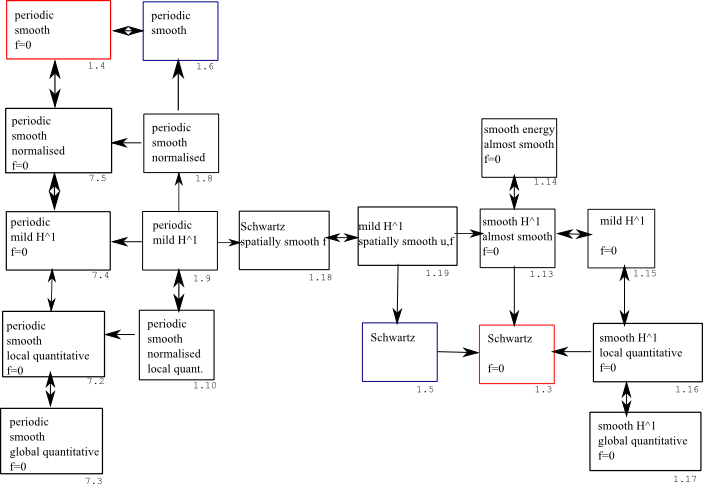 (Here, “complexity” of a polynomial is an informal term referring both to the degree of the polynomial, and the height of the coefficients, which in our application will essentially be integers up to some normalisation factors.) On the other hand, if Proposition 6 failed, then is close to a rational, which by Taylor expansion makes close to an algebraic curve over the rationals (up to some rescaling by factors such as and ) at each point of . This, together with a pigeonholing argument, allows one to find a polynomial of reasonably controlled complexity to (nearly) vanish to high order at every point of . These observations, by themselves, are not sufficient to get beyond the trivial bound in Proposition 5. However, Baker’s key insight was to exploit the integrality gap to bootstrap the (near) vanishing of on a set to imply near-vanishing of on a larger set with . The point is that if a polynomial of controlled degree and size (nearly) vanishes to higher order on a lot of points on an analytic curve such as , then it will also be fairly small on many other points in as well. (To quantify this statement efficiently, it is convenient to use the tools of complex analysis, which are particularly well suited to understand zeroes (or small values) of polynomials.) But then, thanks to the integrality gap (and the controlled complexity of ), we can amplify “fairly small” to “very small”. Using this observation and an iteration argument, Baker was able to take a polynomial of controlled complexity that nearly vanished to high order on a relatively small set , and bootstrap that to show near-vanishing on a much larger set . This bootstrap allows one to dramatically bridge the gap between the upper and lower bounds on the complexity of polynomials that nearly vanish to a specified order on a given , and eventually leads to Proposition 6 (and, with much more care and effort, to Proposition 3). Below the fold, I give the details of this argument. My treatment here is inspired by this expose of Serre, and these lecture notes of Soundararajan (as transcribed by Ian Petrow). One of the most well known problems from ancient Greek mathematics was that of trisecting an angle by straightedge and compass, which was eventually proven impossible in 1837 by Pierre Wantzel, using methods from Galois theory. (Straightedge) Given two distinct points in , form the line that connects and , and add it to . (Compass) Given two distinct points in , and given a third point in (which may or may not equal or ), form the circle with centre and radius equal to the length of the line segment joining and , and add it to . (Intersection) Given two distinct curves in (thus is either a line or a circle in , and similarly for ), select a point that is common to both and (there are at most two such points), and add it to . We say that a point, line, or circle is constructible by straightedge and compass from a configuration if it can be obtained from after applying a finite number of construction steps. 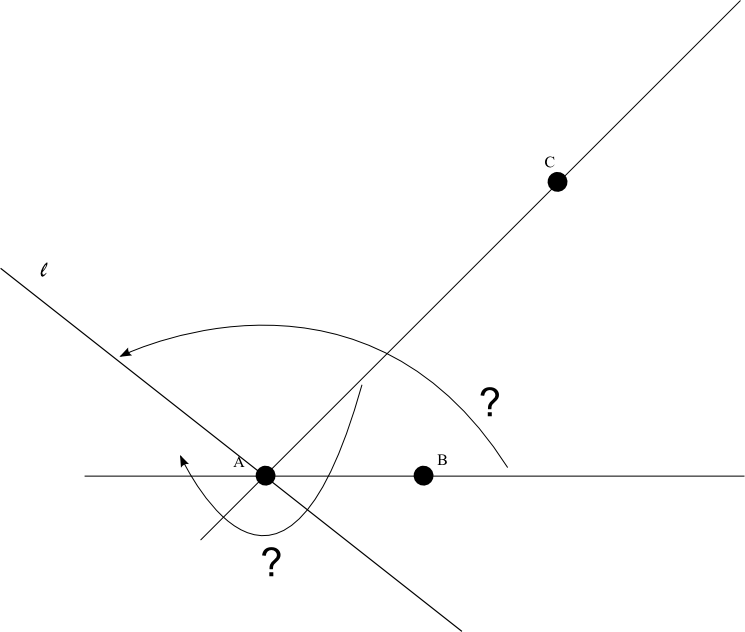 Problem 1 (Angle trisection) Let be distinct points in the plane. 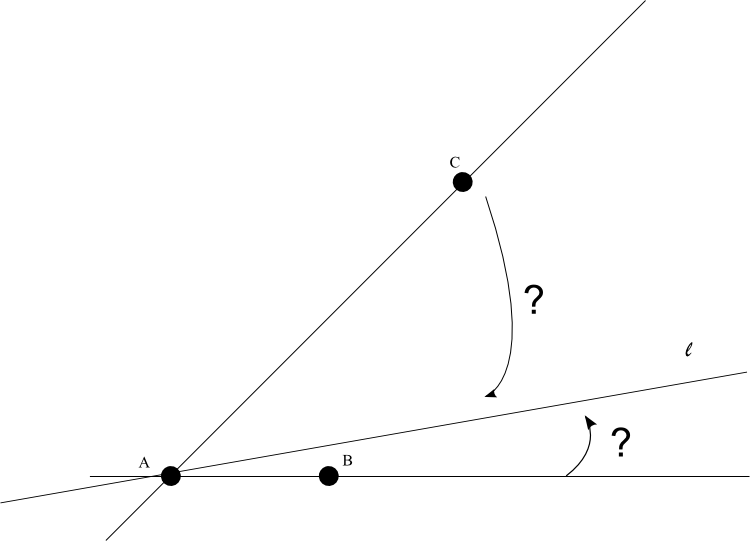 Is it always possible to construct by straightedge and compass from a line through that trisects the angle , in the sense that the angle between and is one third of the angle of ? Start with three points . Form the circle with centre and radius , and intersect it with the line . Let be the point in this intersection that lies on the same side of as . ( may well be equal to ). Form the circle with centre and radius , and the circle with centre and radius . Let be the point of intersection of and that is not . The line will then bisect the angle . Lemma 2 There is no power of that is evenly divisible by . Proof: Obvious by modular arithmetic, by induction, or by the fundamental theorem of arithmetic. In contrast, there are of course plenty of powers of that are evenly divisible by , and this is ultimately why angle bisection is easy while angle trisection is hard. The standard way in which Lemma 2 is used to demonstrate the impossibility of angle trisection is via Galois theory. The implication is quite short if one knows this theory, but quite opaque otherwise. We briefly sketch the proof of this implication here, though we will not need it in the rest of the discussion. Firstly, Lemma 2 implies the following fact about field extensions. Corollary 3 Let be a field, and let be an extension of that can be constructed out of by a finite sequence of quadratic extensions. Then does not contain any cubic extensions of . Proof: If contained a cubic extension of , then the dimension of over would be a multiple of three. On the other hand, if is obtained from by a tower of quadratic extensions, then the dimension of over is a power of two. The claim then follows from Lemma 2. To conclude the proof, one then notes that any point, line, or circle that can be constructed from a configuration is definable in a field obtained from the coefficients of all the objects in after taking a finite number of quadratic extensions, whereas a trisection of an angle will generically only be definable in a cubic extension of the field generated by the coordinates of . 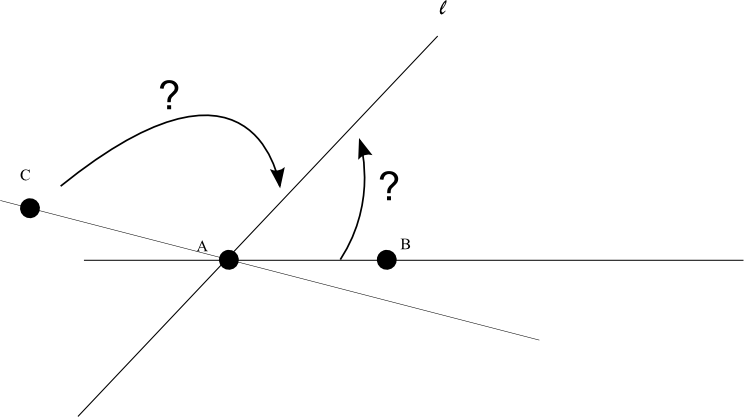 In this post I would therefore like to present a different proof (or perhaps more accurately, a disguised version of the standard proof) of the impossibility of angle trisection by straightedge and compass, that avoids explicit mention of Galois theory (though it is never far beneath the surface). With “cheats”, the proof is actually quite simple and geometric (except for Lemma 2, which is still used at a crucial juncture), based on the basic geometric concept of monodromy; unfortunately, some technical work is needed however to remove these cheats. Let be the point on the line which lies on , and is on the same side of as . Form the circle with centre and radius . Let be the point of intersection of and that is not . The line will then quadrisect the angle . Let us fix the points and , but not , and view (as well as intermediate objects such as , , , , , , ) as a function of . Note that we have now deviated from the original construction in that and are no longer on the same side of ; we are thus now working in a continuation of that construction rather than with the construction itself. Nevertheless, we can still work with this continuation (much as, say, one works with analytic continuations of infinite series such as beyond their original domain of definition). But nothing stops us from rotating some more. If we continue this procedure, we see that after two full rotations of around , all points, lines, and circles constructed from have returned to their original positions. Because of this, we shall say that the quadrisection construction described above is periodic with period . Proposition 4 Any construction of straightedge and compass from the points is periodic with period equal to a power of . The reason for this, ultimately, is because any two circles or lines will intersect each other in at most two points, and so at each step of a straightedge-and-compass construction there is an ambiguity of at most . 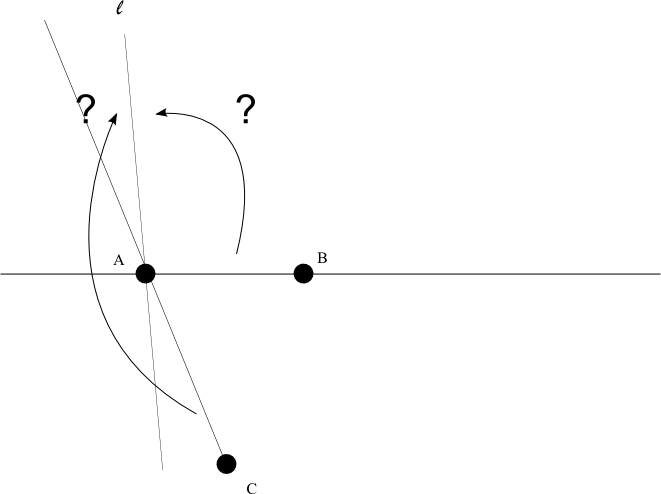 Each rotation of around can potentially flip one of these points to the other, but then if one rotates again, the point returns to its original position, and then one can analyse the next point in the construction in the same fashion until one obtains the proposition. Because of this, we see that the period of any construction that contains must be a multiple of . But this contradicts Proposition 4 and Lemma 2. Below the fold, I will make the above proof rigorous. Unfortunately, in doing so, I had to again leave the world of high-school mathematics, as one needs a little bit of algebraic geometry and complex analysis to resolve the issues with singularities that we saw in the above sketch. Still, I feel that at an intuitive level at least, this argument is more geometric and accessible than the Galois-theoretic argument (though anyone familiar with Galois theory will note that there is really not that much difference between the proofs, ultimately, as one has simply replaced the Galois group with a closely related monodromy group instead).